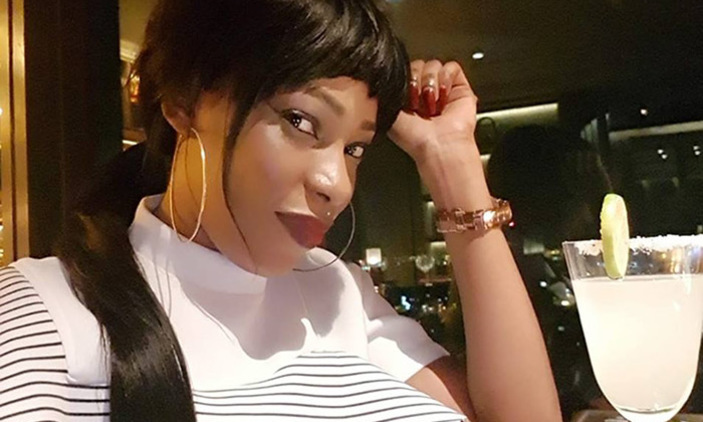 A Ugandan socialite was over the weekend arrested by Dubai authorities after she was found in possession of drugs. Shaniz Kartel as she is popularly known was apprehended with bhang which she claims belonged to Samson Kyamaggwa alias DJ Vegas. According to the Shaniz, she was in her homeland when the disc-jockey asked her to bring back some matooke from home. Little did she know, the package had drugs inside. According to Uganda’s Police Spokesperson Fred Enanga, the socialite could have been a victim of circumstances. Investigations, he insisted are underway as they seek to understand how the drugs could have bypassed the various security checks at Entebbe Airport. “Of course we have to respect the laws of Dubai where she was arrested. Well, she may be a victim of circumstance but we may not rule out the issue of negligence on her side. We want to establish the person whom Vegas sent to bring the consignment to Shaniz before she left Entebbe airport and how this happened without our security discovering there were drugs inside,” Enanga told a local blog. “Through our Anti-narcotic department, we shall go back into the system and check to ascertain who gave in the luggage, who checked it, when and how it left the airport without noticing there was some drugs inside,” he added. From a small time girl, Shaniz is said to have hit the jackpot when living in Thailand. She would later move to Dubai. Dj Vegas on the other hand was residing in Turkey and later Dubai where he works at the Rock-pool.